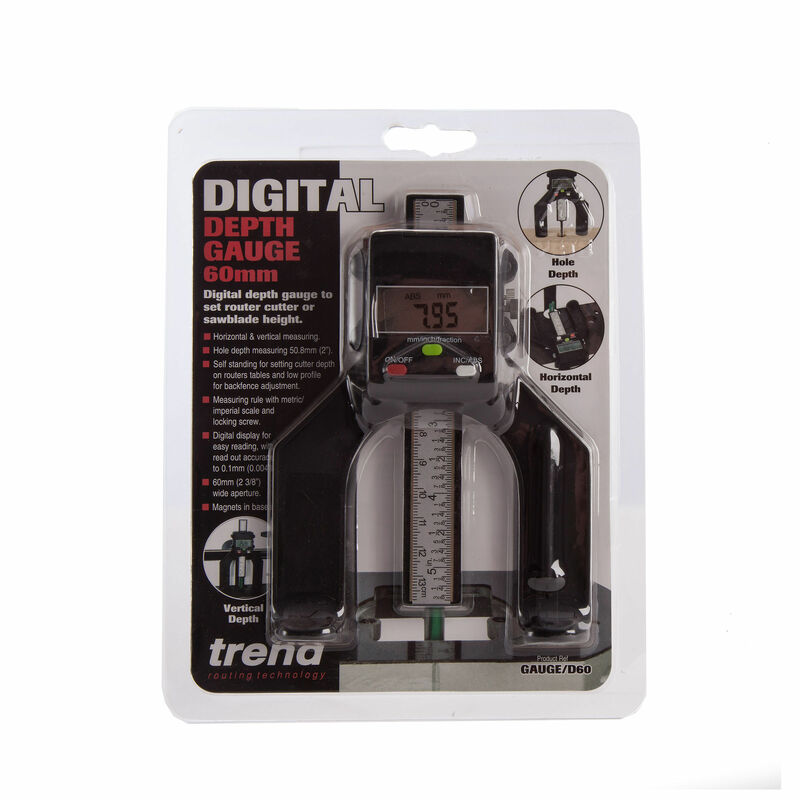 The Trend D60 Digital Depth Gauge for router tables and saw benches. 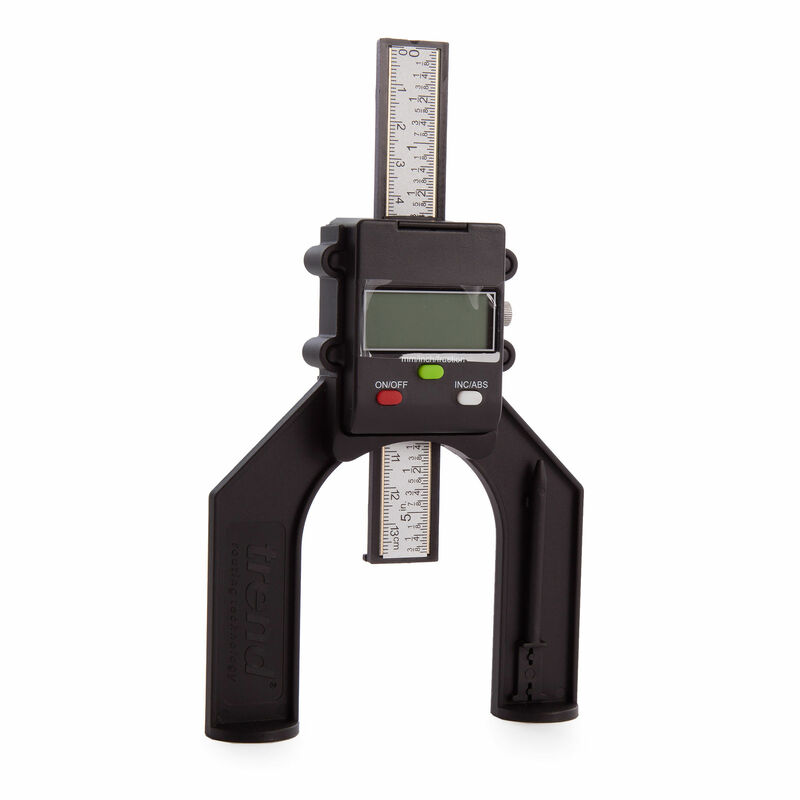 Horizontal and vertical measuring, ideal for hand routers, router tables and saw benches. 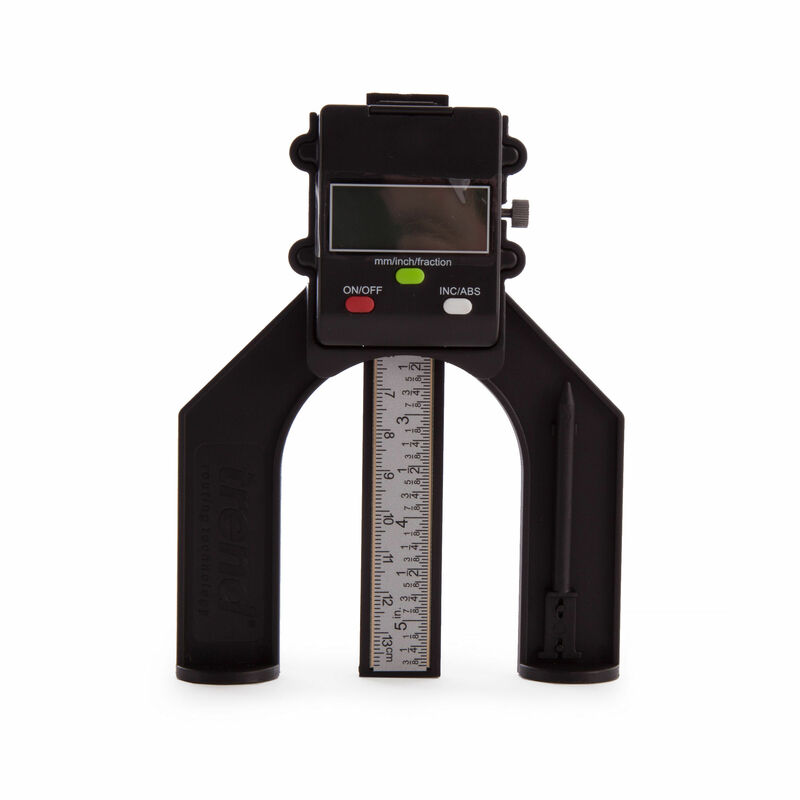 It has an LCD readout for mm, imperial and fractions with auto shut off 5 mins. 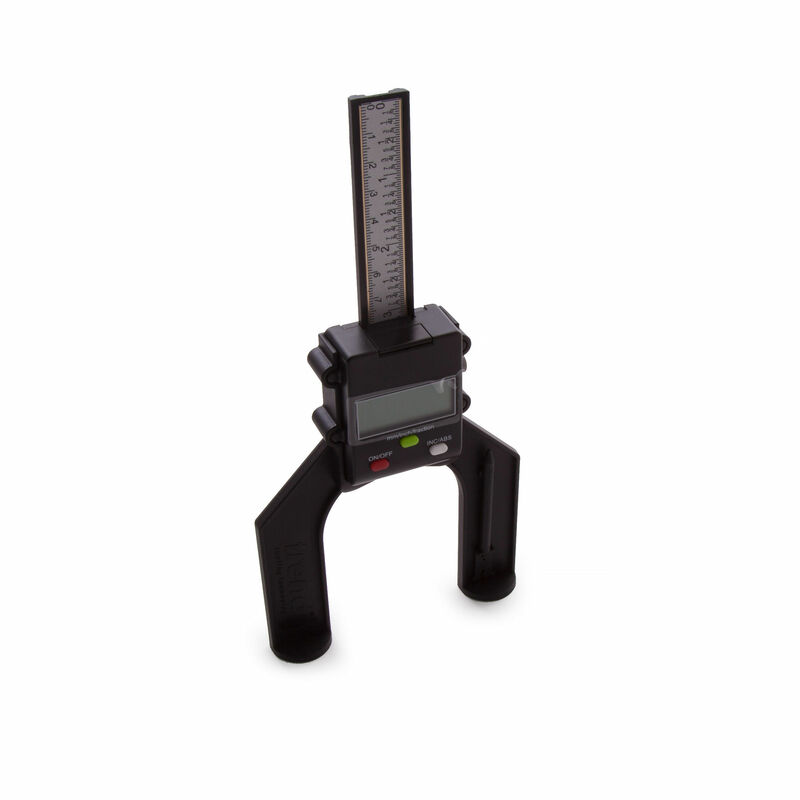 The removable pin allows hole depths to be measured, the pin can be parked on arm. 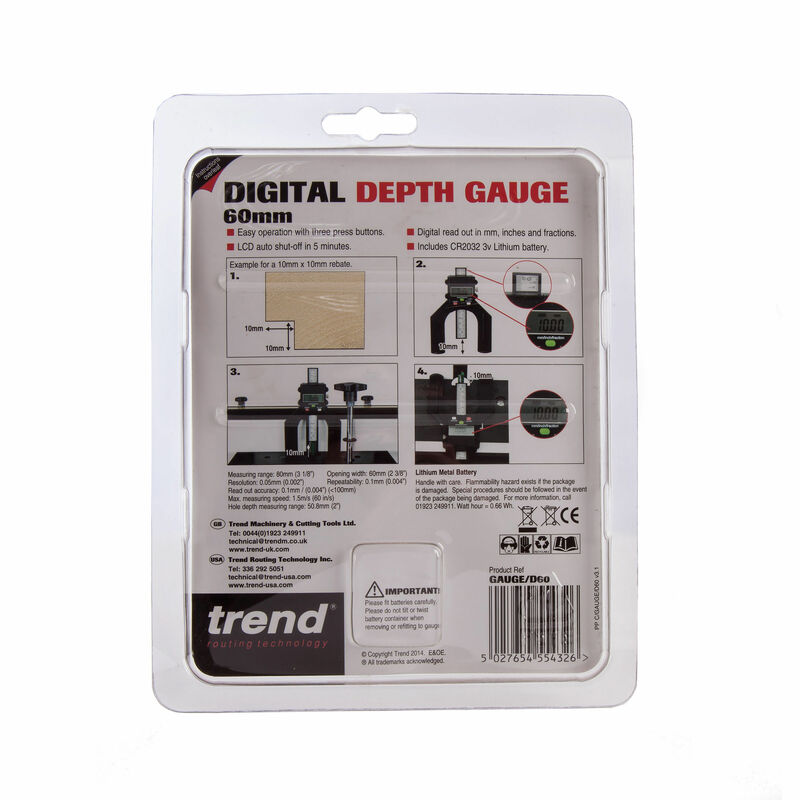 This gauge is self standing for setting cutter depth on routers tables and low profile for backfence adjustment.